Can the group keep calm, working together? They must solve the problem under time pressure - anyone touching the fence could get their fingers burnt! 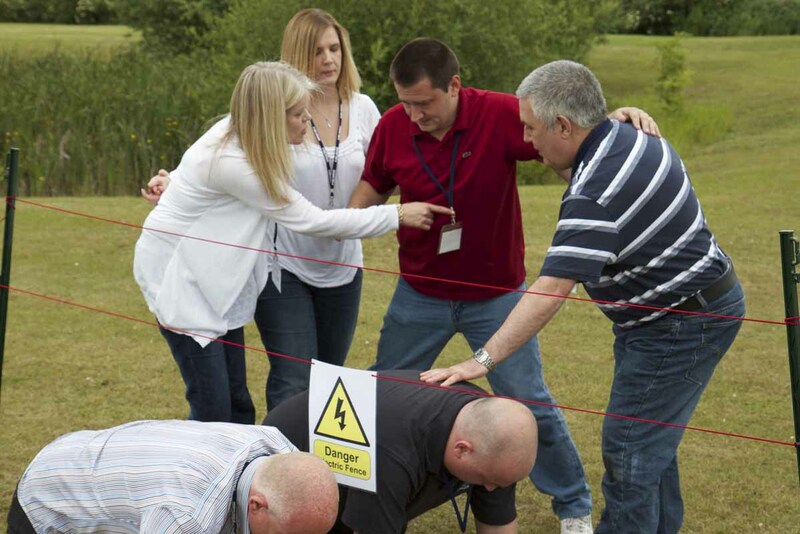 Team members must trust and support each other to get over the electric fence without anyone touching it. Can the group keep calm, work together? They must also solve the problem and given the clock is ticking and anyone that touches the fence could get their fingers burnt! There are many safety issues the team need to consider and it is not as easy as people often imagine. The challenge can also be made more difficult by making the "electric fence" higher. Brings out key issues such as Communication, Safety Awareness, Planning, Support, Trust, Teamwork and Leadership. Buy the Electric Fence game. "We quickly got into the task and didn't consider all the options for solving; a big lesson." "Because it was fun to do; in our excitement we nearly forgot the important safety issues." "We didn't really know each other at the beginning of this, so it quickly got us working together and we had to trust each other or we would not have achieved it."